When it comes to effectively communicating company information to employees, managers or supervisors can be the catalyst behind supporting a new safety initiatives. Given that they have frequent contact with employees and are seen as a credible, it's quite remarkable that few organisations leverage this powerful resource. Often, companies will create a new safety campaign, but fail to get input and feedback from supervisors or managers before launching. The result is that supervisors get their noses out of joint and refuse to support the initiative (either outrightly or agree to promote it, but "forget" to mention it to anyone). A few years ago, we created manual handling training for an organisation that was having staff issues. Due to two competitive companies merging, employees were suddenly working with their "enemies." This meant that staff didn't trust each other or senior management. When our team went to film training vision on site, it was pretty easy to pick up that the workforce was a very unhappy one. So it was no surprise to us when we saw they were on strike six months later. Launching a new manual handling training program can be a way to get employees to believe that management care about them and to start re-building trust issues. But it has to be done right. Unfortunately, this organisation sent the Executive General Manager to launch the new initiative across various sites around Australia and New Zealand. The welcome was frosty, to say the least. At no stage, had the launch team considered getting supervisors involved with the benefits of the new initiative. Supervisors should have been consulted before we even started to create the training, in order to get their feedback and advice on what needed to be taught and how it should have been promoted. If senior management had shown a more collaborative approach and realised the value supervisors have in getting buy-in, they would have been able to build bridges with supervisors and subsequently frontline staff. Instead, this wonderful opportunity was wasted. The same Towers Watson study found that high effectiveness firms involve their managers early in the process and give them the information they need to manage the change. With effective support, frontline leaders can be important in channelling communication throughout the organisation. But it doesn't just magically happen on its own. Companies that are world-class with their internal communication provide their supervisors and managers with the skills to promote new initiatives and hold them accountable for successful delivery. Yet, even those companies that do provide their staff with training, only one in four companies (25%) are investing in effective training that actually gets results. 1. Engagement - this is when you have employees emotionally invested in a new goal or procedure and will do whatever it takes to achieve it. High performing companies with their communication are more than 4.5 times likely to report high employee engagement than other organisations. 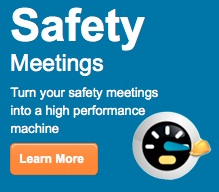 When it comes to improving safety, engagement is key. A study found that engaged employees are 5 times less likely to have safety incident versus disengaged employees and 7 times less likely to have a lost time injury. And when a disengaged employee gets hurt, they get hurt the most costing the employer $392 per injury versus $63 for the engaged employee. It's important that supervisors and managers have engaging communication to promote and have the skills to paint a picture of what the goals are trying to achieve. 2. Communicating the vision - Where a lot of communication initiatives fail to change behaviours is that they do a poor job at clearly communicating the vision and goals. The Towers Watson Study found that companies that are highly effective with their communication do a better job of creating "line of sight" for employees. This means that they understand their big picture and can see how their actions can help the organisation attain its goals. Yet, few leaders are very good at translating goals into tangible information that people feel passionate about. That's why safety professionals and managers needs to be taught this ability. Otherwise, leaders will revert to terms that aren't engaging such as "reducing lost time injuries" and improving our blah-blah-blah ratio (which is what the average employee hears). Boring. What does that mean to the average employee? 3. Change Behaviours - Providing people with information is not enough. What you want is action. All communication is about cause and effect. Many companies end up forgetting what it is they want their staff to do and create communication that is not clear on what behaviour is required and when. Even the most brilliant and creative safety communications strategy can fail, if you cannot inspire your managers and supervisors to promote the new initiative in a motivating manner. A few months ago, I was speaking to a company with 6,000 employees Australia wide. Although, they were investing heavily in high quality internal safety communication, their strategy was heavily flawed. While their recent safety campaign rated highly for getting attention, it failed miserably with action. Out of 6,000 staff members not one changed their behaviour because of the communication. Not one. Nada. Zip. The organisation had created an expensive communication campaign without embedding what action they expected from their workforce. Successful employee communication is all about engaging employees, in order to drive behaviour change that achieves business results. When you spend tens of thousands of dollars communicating a new safety process and it fails, it costs more than just money and time. This is because it's also an opportunity to get a return on investment (ROI), where you actually improve a range of measurements such as productivity and safety costs. A rule of thumb is an ROI between 1.5 to 3%. So it's no surprise that employee communication programs that drive behavioural change have the strongest correlation to financial performance. These organisations actually perform better from their internal communication and actually get a return on investment rather than a big, fat loss. 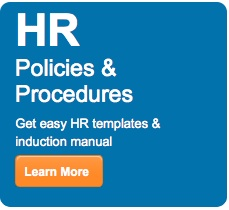 Highly effective organisations work towards improving productivity, engagement, staff retention and their safety record. Improving the communication skills of managers and supervisors is an untapped resource that can drive culture change and promote the right workplace behaviours. Successful organisations build a culture of execution. This means managers know how to get things done through their communication. If you want to create action, in your workplace, then it's time to change how you do things. 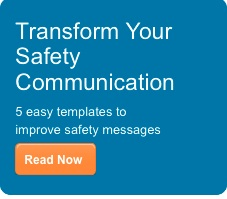 This means training safety professionals and managers to teach them how to engage on safety. In other words, how to get things done. 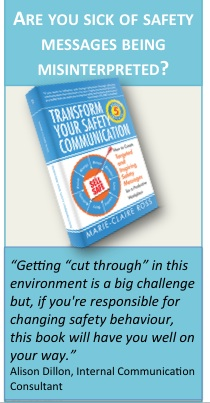 For example, a course dedicated to improving safety communication launches includes the Fast Track your Safety Communication Results workshop or if you'd prefer the book Transform Your Safety Communication has templates to get you up and running fast. Companies that outperform their competitors with high profit levels, productivity, staff retention and a great safety record - all have one thing in common - they know how to engage their workforce on their vision and goals, including safety. 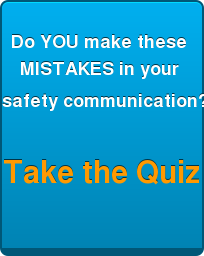 If you want to see how your team performs on safety engagement, try the free assessment tool - Do you know how to Engage on Safety?